The practice of magic is something that’s always been in place in Warcraft. Its origins, on the other hand, have been developed over time. While we always had several different defined schools — even in the original RTS games — those schools weren’t really fleshed out from a lore perspective. In the past year or so, largely thanks to Chronicle Vol. 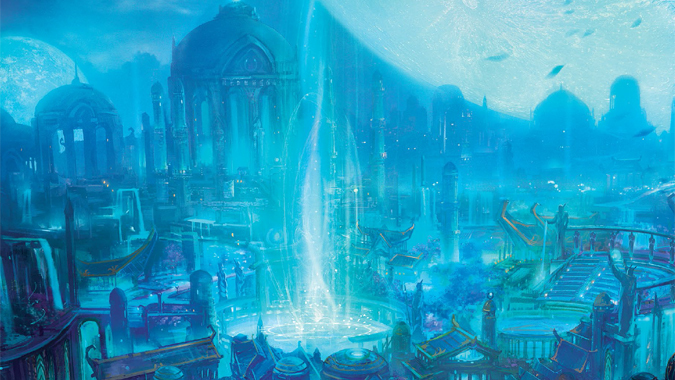 1, we’ve gotten a much better look at how magic works in the Warcraft cosmos. Although different classes play with different types of magic, they’re all related in one way or another. And each type of magic has a direct counterpart, keeping the universe balanced. Light and Shadow are the most easily identifiable. Light manifests as Holy magic, while Shadow manifests as Shadow magic. Pure Light and Shadow exists outside the borders of reality, but they both bleed over. In the case of the Light, we see evidence of this from the existence of the Naaru. 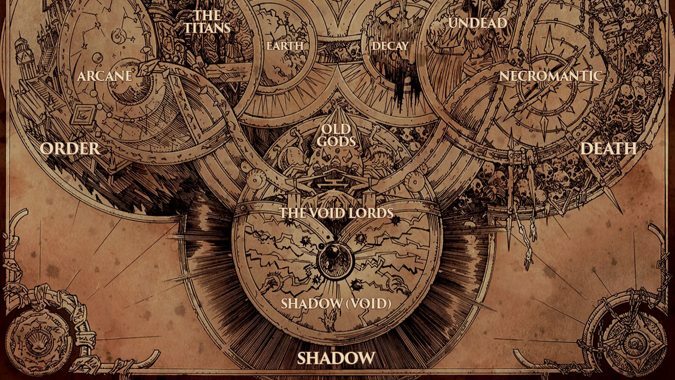 In the case of Shadow — or Void, as it’s also called — we need only to look at the Old Gods and the Void Lords. Life and Death are the two forces that hold sway over every living thing — where there’s life, eventually there will be death. Life usually manifests as Nature magic, promoting growth and renewal. Death manifests as necromantic magic, promoting decay and eventually, oblivion. Order and Disorder govern the cosmic systems of the universe — once again, you can’t really have one without the other. Order manifests as Arcane magic, requiring careful precision and control to master. Disorder manifests as Fel magic, highly addictive and fueled by drawing life from living creatures. On top of all of that, we have the Elements. The Elements are the basic building blocks of the universe — Earth, Air, Fire and Water. Shaman wield these elements by utilizing the forces of Spirit or Decay. Spirit is a harmonious force, while Decay is a dominating force. Spirit is also referred to as “the fifth element” or “chi,” depending on who you’re speaking to. Shaman who want to promote harmony with the elements use Spirit. Shaman who want to subjugate or control the elements use Decay. The cosmic forces work with each other — and within them, we have magic. Different classes draw on different schools of magic. Shaman work closely with the elements, using Spirit and Decay as mentioned above. Monks also utilize the elements, using Chi. Mages appear to work with the elements to at least some degree. It’s not really the same though, because Mages don’t really seek communion with the elements. They simply use Arcane magic to utilize the elements in their spellcasting. Druids are more focused on Nature magic. They maintain and renew life on Azeroth, protecting and preserving nature. Death Knights, on the other hand, are pretty compelling examples of necromantic magic at work. 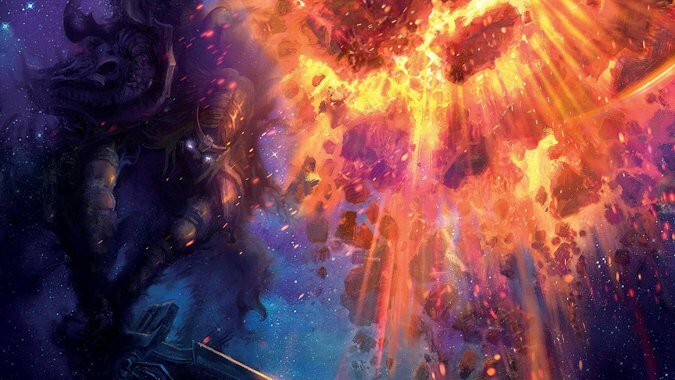 We don’t really know exactly what Kil’jaeden did when he created the Lich King. But whatever it was, he managed to create a being with almost total dominion over necrotic magic. Mages are primarily focused on the Arcane — forces of order in the universe. Arcane feels almost like a pure, concentrated form of magic. Warlocks use Fel magic, and the Burning Legion is pretty much consumed by the use of it. It may be that whole universal balance at play that makes the use of Arcane magic draw the Burning Legion’s attention. Arcane reflects order, and its use automatically attracts disorder, reflected by Fel. Light has long been associated with Paladins and Priests — Holy magic is a step beyond nature magic in terms of healing properties and usage. But Shadow was only recently fleshed out in Legion — and that’s when it was defined as void-centric, rather than tied with Fel magic as many people surmised. Both the Burning Legion and Warlocks seem to have at least a little crossover in this area, since they utilize Shadow spells along with Fel magic. 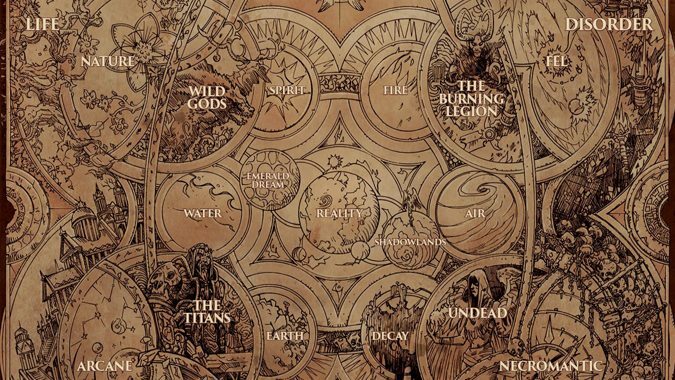 Once you grasp how all these pieces work together, it’s a little easier to look at the whole of the Warcraft universe as a tapestry of sorts. Or maybe more accurately, the board on which the entire cosmic game of Warcraft is played out. The Titans work for Order — not a galactic bout of cosmic closet-cleaning, but rather as a force for cosmic Order. They’re searching the universe and creating worlds, trying to locate and foster other Titan world-souls, with the hopes of awakening more of their kind. But beyond the purpose of the Titans, the cosmic forces of Light and Shadow have always been in play. Sargeras discovered just what the Void was while he was acting as champion of the Pantheon. 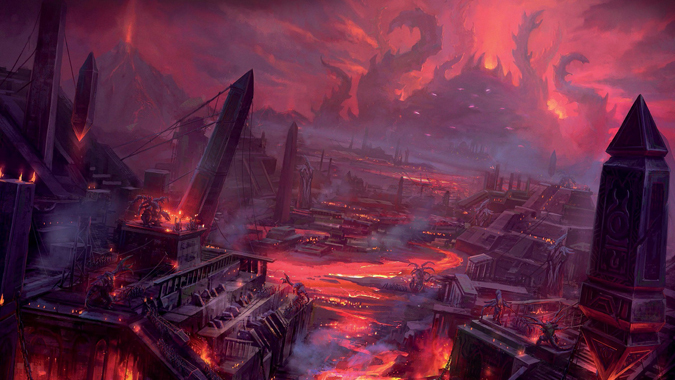 He discovered that the Void Lords sought to corrupt the very Titan world-souls the Pantheon were trying to cultivate. And he realized the only way to prevent the Void Lords from succeeding was to simply get rid of all life in the universe. With nothing left to corrupt, the Void Lords would presumably wither away. Obviously, the rest of the Pantheon didn’t agree with his assessment. So he founded the Burning Legion, making use of the same demons he’d once locked away. He became a force for Disorder — the direct opposite of what the Titans were trying to accomplish. And he did all of this in order to eventually triumph over the Void, by eliminating its reason for existence. The Old Gods are tools of the Void, of Shadow — they were sent out into the universe to find and corrupt world-souls. 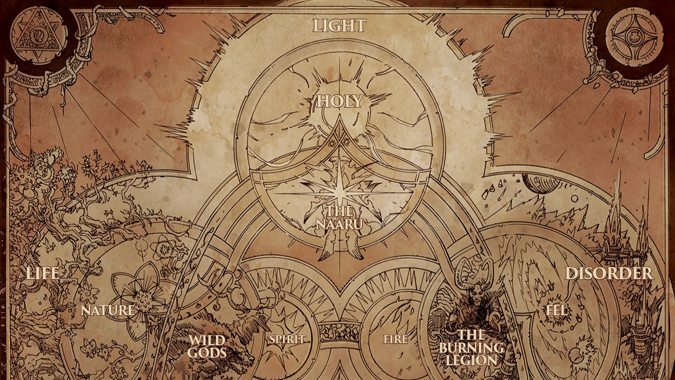 The fact that Azeroth not only possesses the most powerful world-soul the Pantheon had ever seen, but also a whole collection of Old Gods is what draws the Legion’s attention, again and again. If the Old Gods have their way, Azeroth will be born as a Dark Titan, a being of unfathomable evil. Does this make Sargeras a good guy? Not exactly. Because Sargeras believes that an empty, lifeless universe is vastly preferable to a universe dominated by the Void. Unfortunately, we’re alive — and Sargeras would rather we not be. We exist in a strange space. We overlap both sides, reside somewhere in the middle. And we believe we’re fighting for what is right, what is just. But it’s unclear whether or not our cause is as righteous as we’d like to believe. Here’s the inherent problem with our existence: We have been fundamentally changed at a base level by the Old Gods themselves. Nearly every single race on Azeroth has been affected by the Curse of Flesh. For all we know, the other alien races we’ve encountered have been similarly affected, somewhere in their evolutionary history. This means, like it or not, we’re tools of the Old Gods. Can we strike back at our masters? Yes, and we’ve done so several times over. But it also means that when we strike out at the Legion, we’re doing exactly what the Old Gods want us to do. We’re eliminating the thing that is threatening them. We’re getting rid of that force of Disorder — the one that already took care of getting rid of the Titans. The Void is slowly knocking the legs out from the universe itself. We, as mortals, as living creatures, don’t quite comprehend what is happening. And maybe we don’t know all the details. 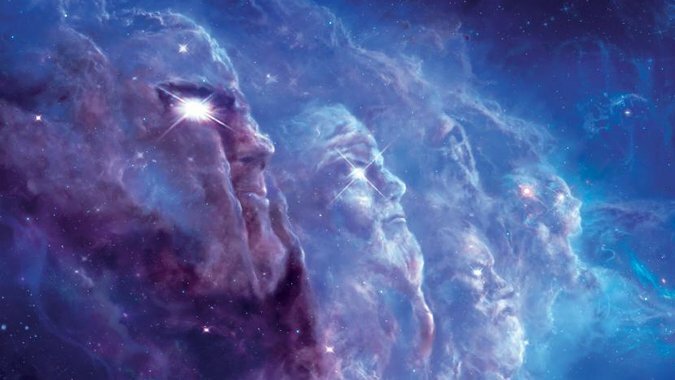 The heroes of Azeroth — and beyond — stand somewhere in the middle of these great cosmic forces. We harness these magic powers and utilize them to achieve our purpose, whatever that happens to be. Make no mistake — even if we manage to defeat the Burning Legion, our battle is far from over. But the fact that we can utilize each of these magic schools in turn says a lot about the nature of our existence. We aren’t a force for good, or evil — we’re somewhere in between. We aren’t a building block of existence, we simply are. And maybe we’re the products of what the universe intended all along: Examples of universal balance, encapsulated in mortal bodies and struggling to establish ourselves as forces to be reckoned with.